Gregory Messer, Esq., was appointed as Chapter 7 Trustee for the Debtors’ jointly administered bankruptcy estates. 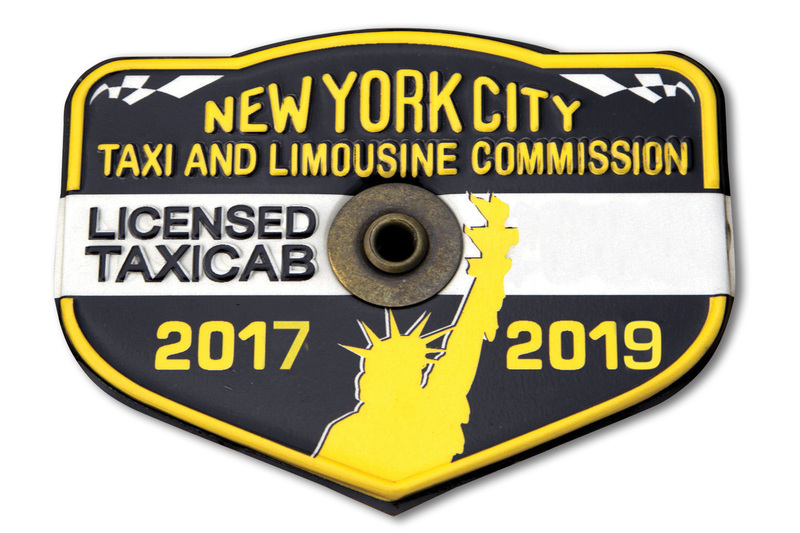 Each Debtor entity owns two or three Medallions for an aggregate of 139 Medallions issued by the New York City Taxi and Limousine Commission (TLC). Auction Date & Time: Thursday, June 14, 2018, at 2:00 pm. Registration commences at 1:00 pm. Auction Location: (NEW VENUE) Sheraton LaGuardia East Hotel, 2nd Floor/Ballroom Level, 135-20 39th Avenue, Flushing, NY 11354. Terms & Conditions of Sale: Medallions are sold free and clear of all liens, claims and encumbrances. All prospective bidders must include a cashier’s check in the amount of $20,000 per Medallion made payable to “Gregory Messer, Chapter 7 Trustee”. Within 48 hours following the auction, the successful bidders are required to post a total deposit of 20% of the high bid. Please download the complete Terms & Conditions of Sale. The Medallions are being sold “AS IS” “WHERE IS”, “WITH ALL FAULTS”, without any representations, covenants, guarantees or warranties of any kind or nature, and free and clear of any liens, claims, or encumbrances of whatever kind or nature, with such liens, if any, to attach to the proceeds of sale in such order and priority as they existed immediately prior to the Closing. By delivering their respective Deposits, all Bidders acknowledge that they have had the opportunity to review and inspect the Medallions, the state of title thereof and laws, rules and regulations applicable thereto, and will rely solely thereon and on their own independent investigations and inspections of the Medallions in making their bids. Neither Maltz, the Trustee, the Attorney for the Trustee nor any of their collective representatives make any representations or warrantees with respect to the permissible uses of the Medallions. All Bidders acknowledge that they have conducted their own due diligence in connection with the Medallions and are not relying on any information provided by Maltz, the Trustee, the Attorney for the Trustee, or their professionals. The information contained herein was derived from sources deemed reliable, but is not guaranteed. Most of the information provided has been obtained from third-party sources and has not been independently verified. It is the responsibility of the Buyer to determine the accuracy of all components of the sale and Medallions. Each potential bidder is responsible for conducting his or her own independent inspections, investigations, inquiries, and due diligence concerning the Medallions. All prospective bidders are urged to conduct their own due diligence prior to participating in the Public Auction. Bid rigging is illegal and suspected violations will be reported to the Department of Justice for investigation and prosecution.